The Figment Notebook – Online in December only! We are very happy to present The Figment Notebook. A new animated shortfilm by author and filmmaker Karim Ghahwagi with music by Mads Brauer & Casper Clausen of Efterklang and narration by Sara Davis. The film was commissioned by c.sides for their project Audible Approaches for a Better Place and will only be online in December before it will make its debuts at film festivals in 2012. Karim Ghahwagi and Efterklang used to work closely together in the years 2003 to 2005 where Karim directed several Efterklang music videos and also took an important role in the live concerts with his incredible video collages. Karim moved on to work with artists like Trentemøller and has recently also had his first book published. The Figment Notebook brings Karim and Efterklang back together! Adopting elements of hagiography, ghost story, fairy tale and fin de siècle animated picture book blurring histories both real and imagined, the Figment Notebook tells the story of a prodigal child raised amongst a secluded coven of witches. Old Mate is perhaps the loveliest coffee bar in Copenhagen and on Saturday afternoon we will be there with our good friends Jody Barton and Hvass&Hannibal. Together we will host the tiniest and nicest Julemarked ever – full of art and music related stuff that you can give to someone special as a christmas present. Please stop by if you are in town. We will be selling a ton of things, among them the new An Island DVD at a favorable price and we are also selling Magic Chairs on vinyl for the ridiculous sum of 50 kr! There will lots of other special offers on T-shirts and the entire Rumraket catalogue. We will also be selling (cheap) vinyl records from great Danish bands like Iceage, I Got You On Tape, Messy Shelters, The Late Great Fitzcarraldos, Michael Møller, When Saints Go Machine, Turboweekend and many more. Art, Music & Espresso – Bring Cash! If you are planning on purchasing the An Island DVD for you or someone special for christmas, then please take note of these dates below. When ordering the DVD you also get the bonus Efterklang EP: Live at Roskilde Festival 2010. Here is a song from that EP. Today AN ISLAND – a film by Vincent Moon & Efterklang is released on DVD! The DVD comes with almost an hour of extra material and in a very very special cover! The packaging is designed by Hvass&Hannibal and features photography by Antje Taiga Jandrig and a custom-made cover printed on recycled paper using vegetable based inks by Stumptown Printers in Portland, Oregon. The DVD release is limited to 5000 copies and they are all individually numbered. The only place to purchase this DVD is at WWW.ANISLAND.CC/HOME . To celebrate the DVD release Vincent Moon & Efterklang has made this outtake from the film available online. As you might know we are lucky to be signed to British label 4AD, who has a roster full of artists that we admire, and who also runs the 4AD Sessions. They have now compiled a collection of the best 4AD Sessions recordings and released it as a free digital download and a very limited vinyl edition under the name: 4AD Sessions 2008-2011. We have 10 copies of the limited vinyl edition which we will be giving away this week via our Twitter and Facebook pages, but also via this post and the comment field below. To have the chance to win a copy of the vinyl edition just post a comment below and answer this question: Where was the Efterklang 4AD session recorded? This contest ends on Thursday September 29th at lunchtime Danish time. We will draw lots between the correct answers. Please don’t forget to sign up with a functioning email address when you comment. We will give away two copies via this site and then the remaining eight via our Twitter and Facebook pages. A little over a month ago we initiated a little artwork project together with fellow Dane and artist Trentemøller. The project was based around a remix swop – Trentemøller has remixed our song Raincoats and we have remixed his song Tide. Back then, a month ago, we invited anyone to suggest the artwork for this joint release and to our joy a stream of submissions followed. There were so many good ones! You can see all of them on this designated Flickr page. It was not easy picking a winner with so many great submissions, but it had to be done of course. Together with Trentemøller we have selected 13 artworks that all will be featured in the booklet for the digital version of this release. You can also watch some of our favorites in this post below. The release is available on iTunes now. We hope you like the two remixes and the many fine artwork submissions. Canon Blue 'Rumspringa' released today! This record is very special to us. Not only is Daniel James aka Canon Blue our dear friend, he also enlisted Mads and Casper to help him produce this new album and Thomas to play drums on a lot of tracks. Our close friends in Slaraffenland also guest this album (Mike on bass, Niklas on trombone, Bjørn on drums) and so does amiina who has recorded all the amazing string parts. Peter Broderick guests one song and classical singer Katinka Fogh Vindelev who sings on our ‘Magic Chairs’ album is also featured on the album. It all sort of feel like one big happy family gathering! If you have been following the announcements about this release you probably also know that, besides future Efterklang releases, this is the very last release we do on our label Rumraket. It really feels like the perfect record to end with. You can read a statement about the close of Rumraket here. Well enough talk. Take a listen to two songs from the album below and if you are tempted you can buy the album on iTunes or on CD (designed by Hvass&Hannibal) via our Rumraket Shop. Via the Rumraket page you can read a lot more about this release and enjoy a string of great video blips. The winners will be announced on August 30th. Same day the two remixes will be available for download. Trentemøller & Efterklang Remix swop + Artwork Contest! We have remixed fellow Dane Trentemøller’s song Tide and he has made a killer remix of our song Raincoats. Together with Filter Magazine we are now hosting an artwork contest. You have the chance to create the official artwork for the digital release of this remix swop. Please give it a go! You can listen to the remixes and read about the artwork contest rules right here. 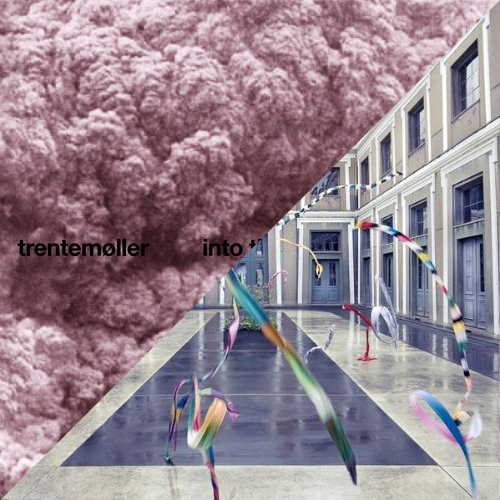 Trentemøller and Efterklang will pick the winner and as we have remixed each others music the challenge is to remix the artwork worlds of Trentemøller and Efterklang into something new. We would like to stress however that remix is to be understood loosely. All contesters are encouraged to create exactly the artwork they feel like, but it would be fun if the submissions are inspired by the artwork worlds of Efterklang and Trentemøller. The contest aims at painters, photographers, graphic designers and visual artists in the widest sense, both young and old and established and non-established artists. 3) Efterklang and Trentemøller will pick the winner(s) and the winning artwork will become the official cover of the release. The 10 best pieces of artwork will also be featured and credited in the official iTunes release‘s digital booklet. Further prizes include Efterklang‘s „An Island“-DVD, Trentemøller‘s „Into The Great Wide Yonder“ limited edition and merchandise from both bands. Saturday July 30th we will be playing the last concert of the year. It will be a Efterklang + Daniel Bjarnason & Their Messing Orchestra concert and we are so happy to get the chance to play one last time with this special 17-piece band. As reported already the band consists of Efterklang (with Peter Broderick, Heather Woods Broderick and Daniel James (Canon Blue) + the icelandic composer Daniel Bjarnason + a brass quartet + a sax quartet and a classical percussionist. The support for the concert will also be special! Heather Woods Broderick, Canon Blue and the 4 Messing saxes will all share the stage for 30 minutes that you don’t want to miss. Heather and Canon Blue will be playing songs from their solo records and the Messing saxes will play music of Artvark. The concert is part of the Reich Effect Festival celebrating Steve Reich’s 75th year birthday.